DENVER -- Colorado's governor has ordered the destruction of marijuana treated with unapproved pesticides, his first action on the matter after months of product recalls and media warnings about unhealthy pesticides on pot. The executive order by Gov. John Hickenlooper on Thursday, Nov. 12, called marijuana treated with certain pesticides a "threat to public safety" and said it should be destroyed. The governor acknowledged that there's scant scientific evidence about which pesticides and fungicides are safe to use on marijuana, but he said that questionable pot should be destroyed until more is known. "When a pesticide is applied to a crop in a manner that is inconsistent with the pesticide's label, and the crop is contaminated by that pesticide, it constitutes a threat to the public safety," the order said. The order came after The Denver Post reported that pesticides barred for use on cannabis were still being applied and found at high concentrations in products sold to consumers. Denver city officials placed thousands of plants on hold last spring after finding they'd been treated with unauthorized chemicals. 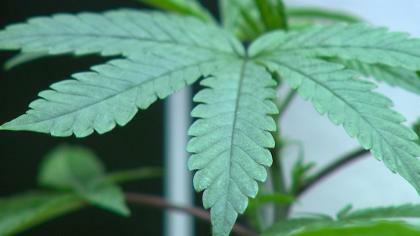 The city has since issued a half-dozen recalls of marijuana products. Other plants have been released back into commerce because residual levels of the pesticides dropped to safe levels. Thursday's bulletin specifically mandates state agencies to determine any off-label use of a pesticide "a threat to public safety" and ensure that the contaminated products are quarantined and destroyed. That is a stiffer approach than the quarantines and recalls Denver health officials have put on marijuana products contaminated with unapproved pesticides. In most cases, the products were allowed back into commerce once tests confirmed pesticide residues were at levels lower than what's allowed on other consumable crops. Hickenlooper's order left no room for trace amounts and calls for the destruction of the affected plants and any derivative products. A company could destroy any affected marijuana voluntarily or face administrative actions by the state to force the destruction, according to a policy statement issued by the chiefs of the three state agencies involved. There is no pesticide specifically approved for use on marijuana because the chemicals are regulated by the U.S. Environmental Protection Agency and cannabis is illegal under federal law. As a result, there have been no tests to show how pesticides used on marijuana could affect consumers or whether their use is safe. The newspaper reported that Colorado regulators are working on final rules that would strictly limit the pesticides that can be used on marijuana only to those whose labels allow for unspecified crops, that can be used in greenhouses, and that are not prohibited from human consumption. Pesticides allowed in tobacco cultivation also would be approved.